Flip a coin. 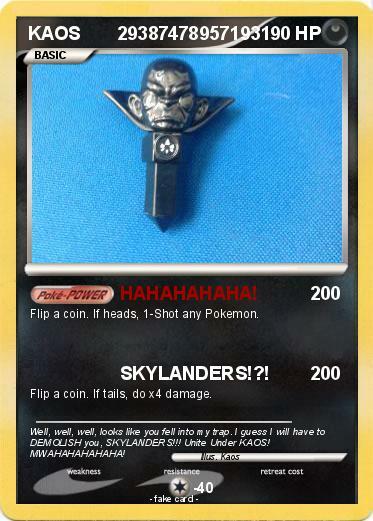 If heads, 1-Shot any Pokemon. Flip a coin. If tails, do x4 damage. Comments : Well, well, well, looks like you fell into my trap. I guess I will have to DEMOLISH you, SKYLANDERS!!! Unite Under KAOS! MWAHAHAHAHAHA!